Sunshine Through the Rain: 2015 Q1 Finish-Along goals, and thoughts for the year. 2015 Q1 Finish-Along goals, and thoughts for the year. I just have two goals for this quarter. 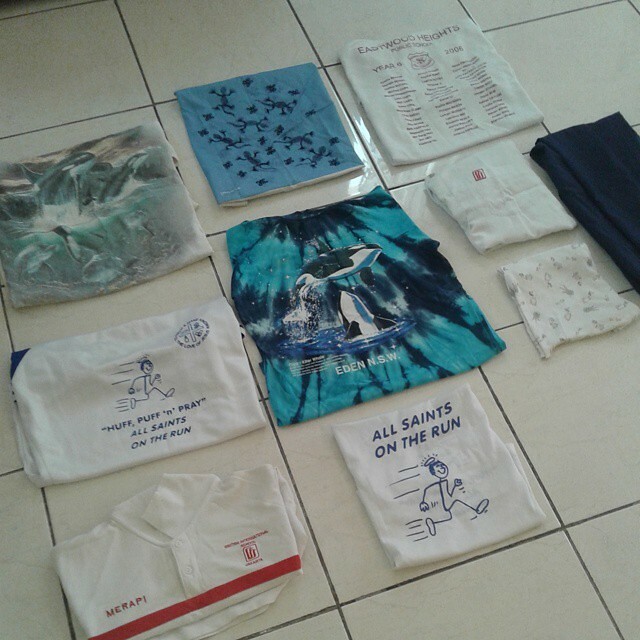 The first is the t-shirt quilt that I have been commissioned to make. I now have a more definite plan that includes paper pieced blocks of a killer whale, the tardis and something Harry Potter related. 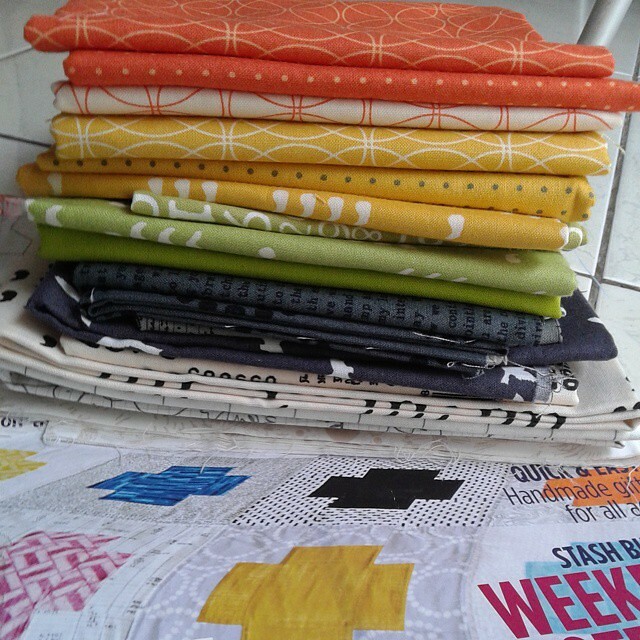 I am still rather concerned about cutting into the t-shirts, but I am hoping that if I make the rest of the quilt awesome, somehow the whole thing will come together okay! The second is a plus quilt for my second son. His birthday is in February, and one of my goals for this year is to make quilts for both my sons. They are unlikely to get much use out of them while we are in the tropics so I want to make quilts that will last them for many years. Mr. Nearly 8 really wanted a rainbow quilt, but in the end I persuaded him that this fabric pull is still bright and colourful! My main goals for this year as a whole are to learn how to sew curves (more on that coming up soon as I have signed up for Rachel's Curves Class which starts next week), and to make at least one garment for myself. I am extremely excited that at the end of last week I received a new sewing machine that I am hoping will make these aims slightly easier to achieve! I am already loving the automatic thread cutter and needle threader, that I can choose to stop with the needle down, and that straight line quilting was a breeze. The extra space is surely going to make quilting that much more enjoyable! Oooh a new machine, how fun! Yeah for a new sewing machine and poor little boy who's mommy didn't want to make him a Rainbow quilt, lol, my son is the exact opposite he only wants 1 color things, I have to really convince him to add at least 2 more colors. Congrats on the new machine - looking forward to hear how you get on with it after some use. I'm in Curves too! OOhh a lovely new super machine!! 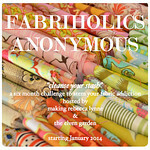 I'm sure it'll be so fabulous to sew with you'll finish this quarters projects in no time. I am sure you will achieve your two reasonable goals! As for the 8yo's rainbow quilt, I remember a similar conversation with my stepdaughter - helping her find a way of decorating her room that would appeal to her young self while making sure her slightly older self would not gag at the sight of all that pink a few years down the track. Good luck getting brave enough to cut those t-shirts. I would find it nerve wracking, too. I love the fabric you have chosen for your son's quilt. 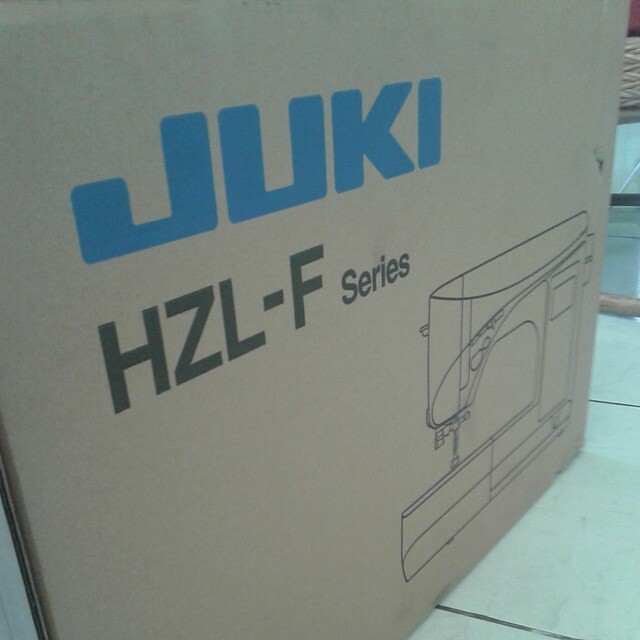 Yay for the new sewing machine, sew exciting!!! Yours is the second little boy I know who wanted a rainbow quilt:). The colors you chose are perfect! Love the fabric pull for your plus quilt!! I'm making my 8yo son a quilt at the moment too. It's On A Whim by Thimbleblossoms. I picked the happy Go lucky fabric. He eliminated anything remotely floral and it's looking really good!